ST. LOUIS –- The small but boisterous Middle Tennessee cheering section started yelling "Biggest upset ever!" as the Blue Raiders ran off the Scottrade Center court Friday. It was hard to argue the point. The No. 15 seed had just knocked off No. 2 seed Michigan State 90-81 in quite probably the most earth-rattling first-round game ever. While seven other 15th-seeded teams had registered wins in the NCAA tournament, none of them did so over the wise-guy favorite to claim the national championship, as the Spartans had been. For an upset so large, however, the Blue Raiders remained relatively subdued afterward. They didn't jump on the scorers table. Their coach didn't dance (though Kermit Davis is an excellent dancer). Their postgame comments and tone could have been confused for a regular-season Conference USA victory, if you didn't know better. Middle Tennessee expected to win all along, which made this upset even more remarkable. "We're not surprised at all," senior guard Jaqawn Raymond said. "We knew, if we just played our game, what the outcome would be." 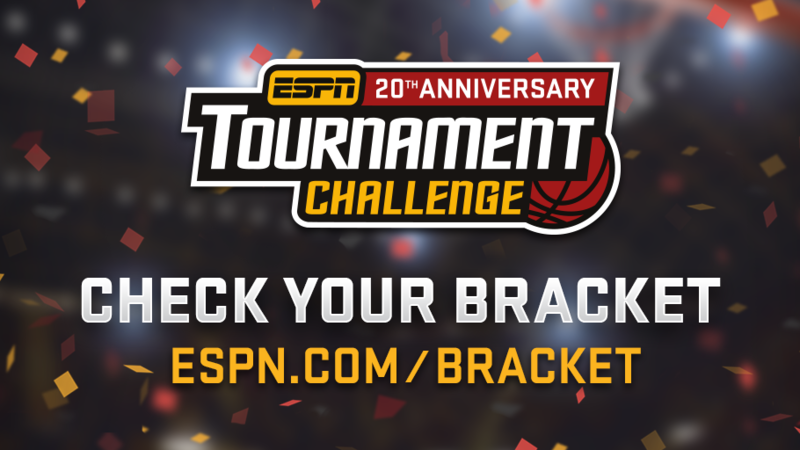 It might have been nice if they had let the rest of America know beforehand, since 97.8 percent of all brackets submitted on ESPN.com picked Michigan State to survive the first round. But at least they served notice right from the opening tipoff on how this game would go, racing out to -- and how poetic is this -- a 15-2 lead. The Blue Raiders would never trail, and even as Michigan State threatened again and again to tie the score or take the lead in the second half, Middle Tennessee calmly kept answering with big plays. This was a Cinderella that acted like the Big Bad Wolf, constantly attacking and never panicking. "All my teammates, including myself, we weren't scared of the moment," forward Perrin Buford said. What created this confidence, especially against a program that usually owns the month of March? It helps that Middle Tennessee has veteran players, such as seniors Buford and Darnell Harris and junior Reggie Upshaw Jr. The players bonded on a preseason trip to the Bahamas and while winning the Great Alaska Shootout in November. Davis has been at the school for 14 years, building a culture and a system. The season's turning point, though, came after a 78-72 home loss to Western Kentucky on Feb. 25. Leading scorer Giddy Potts suffered a concussion during that game and couldn't play on Feb. 27 against Marshall. The Blue Raiders had no choice but to come together; they beat the Thundering Herd 83-74 and went on to win the C-USA tournament two weeks later. "That loss really touched us," Buford said. "We just told each other, 'Hey, we've got each other's back and let's do this now.' And that's what we've been doing ever since." Davis drew up a perfect game plan against Michigan State, switching every screen on defense and having his team push the pace after made baskets. The Blue Raiders knew they could beat the Spartans off the bounce, and they lived through a dream shooting night (56 percent from the field, 58 percent from the 3-point line) in which their misses often circled the rim. "I haven't seen that my whole career, much less an NCAA tournament game," a bleary-eyed Michigan State coach Tom Izzo said of Middle Tennessee's offensive tour de force. The Blue Raiders also pressured Denzel Valentine into six turnovers, and dared other Spartans to beat them. Upshaw said the team had its best practices of the season in the days after Selection Sunday. "We were so well prepared," assistant coach Win Case said. "We knew every single thing that [Michigan State] did, from their man defense to the zone." Michigan State's best chance to make Middle Tennessee wobble came at the final media timeout. The Spartans had cut the lead to three points and had two free throws coming up. But the underdog would still not cower. "We looked at each other, and said, 'Let's enjoy this. Let's have fun right here,' " Davis said. "And I think they just played relaxed and real confident." The Blue Raiders would outscore the Spartans 14-2 over the final three-and-a-half minutes, capped by Upshaw's dunk and bicep flex in the closing seconds to erase all doubt. The school most people couldn't locate on a map had changed the entire geography of this tournament bracket. "The majority of people don't know where Middle Tennessee is," Raymond said. "Most people know where Nashville is, but they don't know Murfreesboro. They're going to know after tonight." Raymond said that more matter-of-factly than through giddiness. Players like Potts talked about "unfinished business" and turned their attention to Sunday's unexpected second-round matchup against Syracuse. This was not a locker room full of wide-eyed disbelief. "It wasn't over-jubilation, which I liked," Davis said. "I thought our guys handled themselves well." They handled themselves like a team that expected to beat Michigan State, even when no one else thought they could.